Mrs. Fields is celebrating their 41st A-Nibbler-Sary on August 3, 2018! 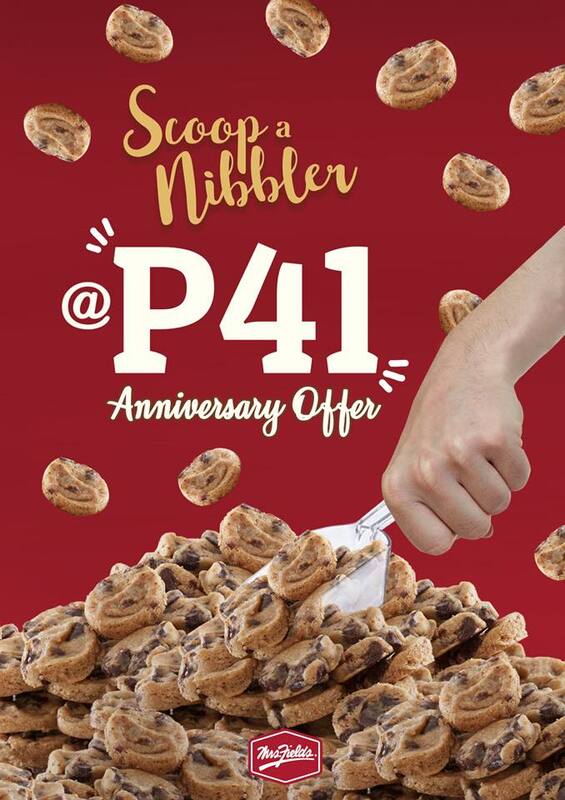 Get a chance to SCOOP your favorite NIBBLERS for only P41! *Until supplies last so be sure to be there early! Promo valid in all Mrs. Fields branches nationwide!